The Australian Tax Office and the company tax rate for small businesses – what’s all the fuss about? 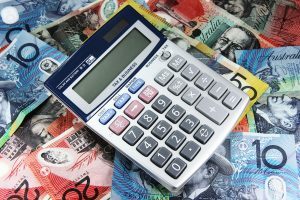 Home › Uncategorized › The Australian Tax Office and the company tax rate for small businesses – what’s all the fuss about? A key part of the Government’s Budget package last year was a reduction in company tax rates for small businesses. The Australian Tax Office (ATO) recently interpreted “small business” to include companies that simply generate ‘passive income’ from investments. The Government has responded that it did not have these types of entity in mind when it decided to introduce tax cuts for small businesses. Today we summarise the disagreement between the ATO and the Government over the tax rate. In Budget 2016, the Government unveiled a ten-year enterprise tax plan aimed at supporting jobs and economic growth, particularly through tax relief for small businesses. One aspect of this plan was an incremental reduction in the company tax rate for small businesses. For the 2016-2017 financial year this increment was to be from 28.5% to 27.5%. This means that whether or not an entity is a small business will rest on what it means to be “carrying on a business”. “If any further direction is required on the Government’s policy intention by the ATO it will be provided by the Government.” (see http://kmo.ministers.treasury.gov.au/media-release/056-2017/). So now the question for a small business is whether it is engaged in “relatively passive” activities. This leaves it considerably more open-ended for a business, and their accountants, to determine whether or not they are eligible for the tax-cut. See the ATO’s latest draft advice. But note that ATO has confirmed it is working on further guidance on this matter which will be released in August. In the meantime, make sure you engage an accountant or tax consultant to determine which tax rate applies to your business.